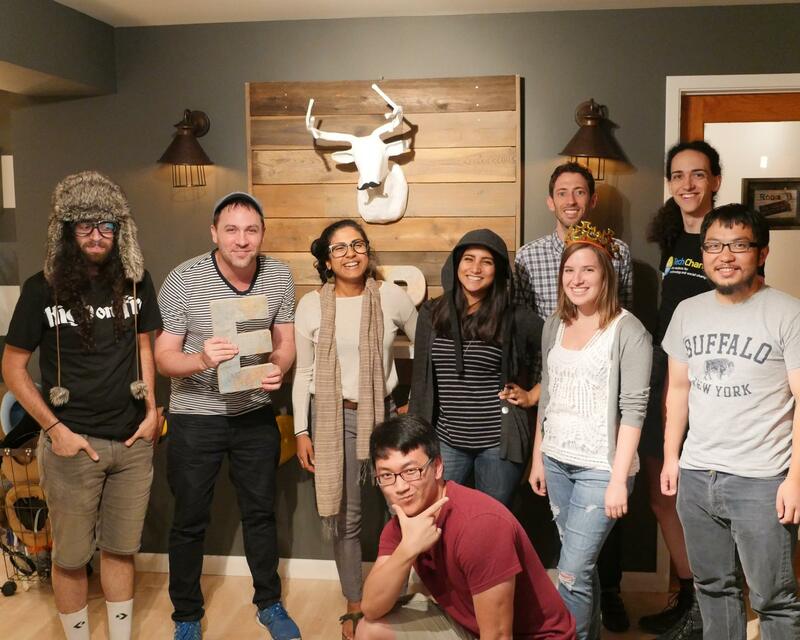 This year, we kicked off our first TechChange summer fellowship. 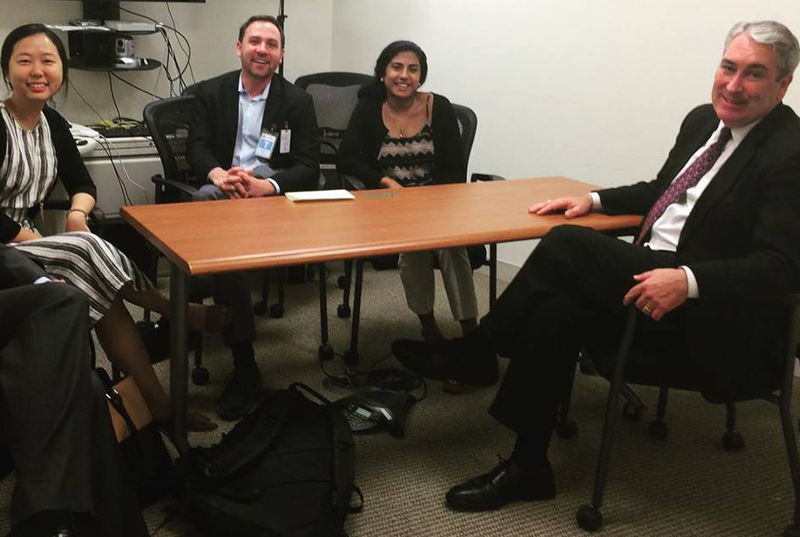 We had three fellows join us in our TechChange office in Washington D.C. We sat down to chat with one of our Tech Fellows, Nithya Menon, a rising senior at Harvey Mudd College. How did you hear about TechChange? My interests in technology and education could take me in a lot of different directions, but I craved a global and social impact element, so I was thrilled when TechChange appeared in my Google search results. I kept up to date with their work, and was really excited when I saw the fellowship announcement. I stopped everything and began applying. Usually writing job applications is a drag, but not this time. My fantasies about working at TechChange were getting closer to reality. And don’t worry, even though I stopped studying for finals to apply, I still passed all my classes. I am a rising senior engineer at Harvey Mudd College. I grew up in Seattle, WA and frequently travel to India to spend time with my family. I’m an avid tennis player, but in general, I love being active and going on adventures. Music has always been an important part of my life and I love getting to experience it with others. I’ve recently discovered my love for hiking and camping, and some of my favorite stories are about surviving ridiculous trips into the wilderness with friends. I have always felt incredibly blessed to have the resources and opportunities that I do, and I would love to use my knowledge and passions to boost people’s potential for sustainable growth. I believe in the power of education to tackle problems from the ground up and encourage people to learn from each other. Working at TechChange this summer gave me the chance to see how my love for education and interest in technology could combine to tackle some of the world’s greatest problems. Where were you when you found out you were accepted into the fellowship? I was sitting in class on the Wednesday before spring break when my phone rang. My heart raced. I was expecting the big news today. But we were reviewing for an exam and I couldn’t answer. Would they call to reject me? Might it be good news? After stressing myself out for the rest of class, I called Will Chester, TechChange Chief Technology Officer. He began asking me how I was doing, how my day had been going. The anticipation was killing me. Finally he said the words I had been dreaming of for months. I had been offered a position! I immediately sent some texts written in all caps to my best friend and parents, and ran to my next class. I can still vividly remember my sheer elation. Why did you choose TechChange to spend your summer? TechChange’s mission combines my three biggest passions- education, social impact, and technology and the small company culture suites my learning and working styles. I knew that the people I would meet through being at TechChange, both employees and other connections, would be invaluable. I came out to DC to experience a different world and create a new network, and TechChange would help me accomplish that. A summer at TechChange would give me so much more than just greater technical skills. What did you do at TechChange this summer? What was your role at TechChange? 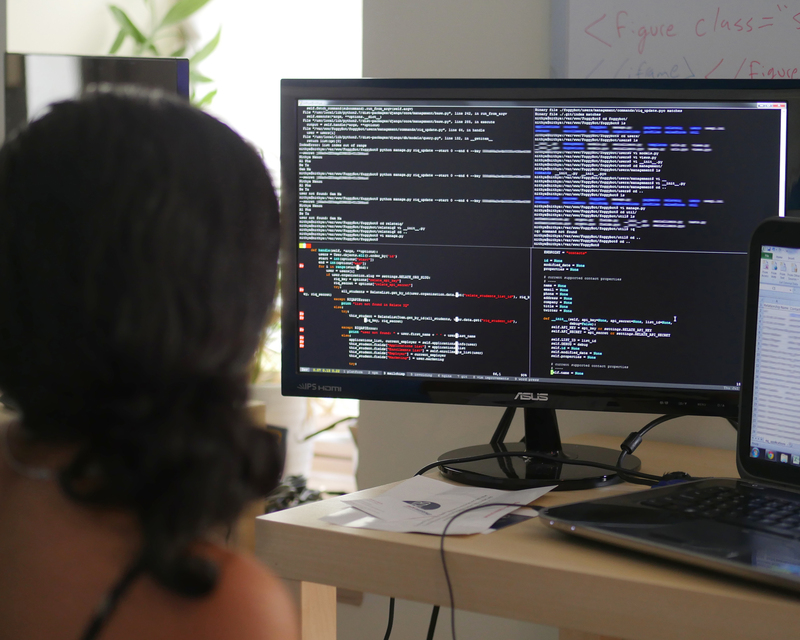 I came on as a Tech Fellow, but the beauty of a small company is the number of roles or experiences you can collect. I worked with the sales team to automate significant parts of the payment process. I worked closely with marketing to integrate our methods of data collection to maintain better, more usable data on our users. Also on the marketing side, I created more visual features and flexibility for our main site. Notably, I worked with marketing and our creative team to build a dynamic grid that can be used to compare features of different products. This feature is currently being used to market our new Diploma Track program! I worked hard to make sure our site and systems were ready for the launch, and it’s exciting that everything’s live! What did you learn during your time at TechChange? It is possible for a small company to create a global impact by working closely with large, important partners, while still maintaining the flexibility, creativity, and collaboration of a small team. Even in a company of under 20 people, different people and teams have varying perspectives, motivations, and goals, and working through these conversations is a difficult, but important step when considering the overall growth of the company. There are many large, daunting problems in the world. But seeing how effectively our approach to education can tackle these problems from many angles simultaneously has made me even more inspired to go after big dreams. I am still figuring out how to tie my interests and skills together cohesively, but TechChange gave me amazing opportunities to see how diverse skills can compliment each other and result in a more powerful effort. What have you gotten to explore in DC? Beyond the typical stuff, I’ve seen the monuments in the moonlight. I’ve gone to a French speaking happy hour to brush up on the language and meet new people. I went to the DC National Maker Faire. I saw an off-beat Shakespearian play. I went white-water innertubing with my housemates. I befriended a baker at a farmers market and helped her bake and sell gluten free baked goods. I saw a Syrian refugee violinist perform at the Millennium Stage in the Kennedy Performing Arts Center. I walked everywhere, for miles on end. I got rained on a lot, and refused to buy an umbrella. I spent time in second hand bookstores and worked on expanding my cooking repertoire. I played lots of tennis and made some new friends. I barely scratched the surface of what DC has to offer, but I tried my best to explore! Did your TechChange experience end up going as you expected? I expected it would be amazing, and it surpassed amazing weeks ago. As far as my day-to-day work, I don’t think I had a clear idea about what my work would entail, so every project I’ve worked on has been an adventure. What I wasn’t prepared for, however, was to fall in love with the company and the people here. I have some tough goodbyes ahead of me. Would you come back to work at TechChange one day? Why? I believe in TechChange’s mission completely. I feel like a part of the TechChange family, and being at work everyday is such a positive experience. I have fantastical visions for how TechChange can develop, and would love to be involved in making them a reality. Coming from the West Coast, however, it’s still hard to imagine moving so far away from home. Even though Nick says he would paint the Golden Gate Bridge on our windows to make the transition easier, I’ve still got a lot to think about. These kinds of decisions aren’t easy! What advice would you give to future TechChange Fellows? I think the best skill to have is the guts to jump into things, even when you think it’s outside the realm of your expertise. Figuring things out as you go is how the world works. TechChange is a small company and people play many roles, so if there is something that intrigues you, don’t hesitate to ask about how you could get involved. Be open about your passions. Everyone at TechChange has an amazing background, and I’ve loved hearing their stories and connecting over culture, food, and hobbies. My goals and dreams have been opened to new possibilities through learning from everyone here. Keep an open mind, ask lots of questions, and let this Fellowship help you grow in ways you never anticipated. What has been your favorite moment at TechChange this summer? It’s hard to pick just one! I think my favorite moments come from the everyday ridiculous banter and genuine camaraderie between us in the office. From discovering a free dining table and chairs on the street and carrying them back to the office as a team on my first day, to the constant debates over the merits of standing desks and the desirable office temperature, everyday is entertaining. I love that 15 of us (and one guitar) crammed into our tiny recording studio to “harmoniously” sing happy birthday to one of our facilitators over skype. We have jokes about band names, TechChange spin-offs, soylent, and more. There are many silly moments in the office that keep me dying of laughter, but every moment of silliness is equally matched with moments of dedication and support from every person on the team. Being a part of such a playfully hard-working team made every day a wonderful moment. It has been incredibly fun to have Nithya join our team this summer. She goes back to complete her final year at Harvey Mudd and our team wishes her all the best and hopes to see her again in the future! Interested in applying for the TechChange summer fellowship? Apply here!